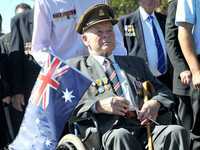 SPECIAL Anzac Day importance has today been placed on three battles from vastly different theatres of war where Australians paid the ultimate sacrifice. 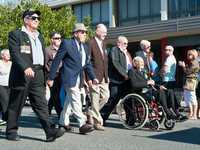 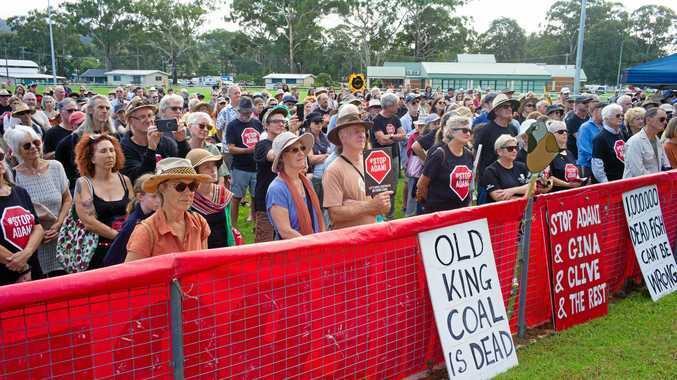 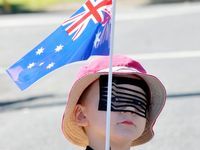 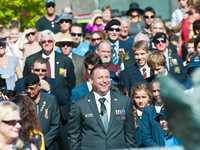 This year's commemorations in Coffs Harbour have been dedicated to the 90th anniversary of the Battle of Beersheba, the 70th anniversary of the Thai Burma railway construction and the closing months of the current mission in Afghanistan. 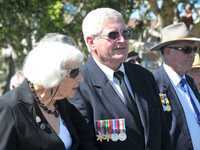 "Also today let us remember and say a prayer for all those soldiers who are still out there today on-duty and for all of our peace keeping forces." 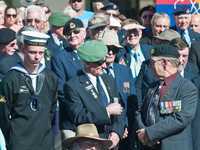 A large patrotic crowd turned out at the Coffs Harbour Anzac Day dawn service, march and wreath laying ceremony at the Cenotaph. 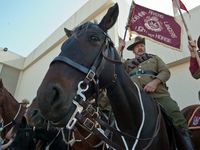 Pride of place was reserved for a handful of surviving Diggers who rode in restored war Jeeps and Light Horse men who rode on horseback under the banner of the Northern Rivers 15th Australian Lighthorse Brigade. 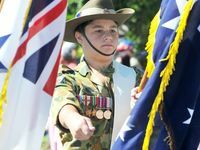 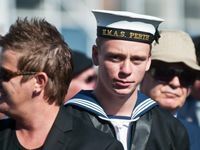 The local RSL sub-branch praised the community's large turnout today and the youth participation in services saying it proves the Anzac Spirit is alive and well ahead of the 100th anniversary of the Gallipoli landing in 2015. 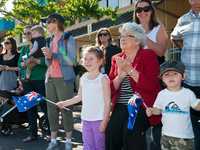 Which day is the greater celebration of Australia and what it means to be Australian? 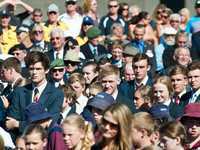 This poll ended on 26 April 2013.